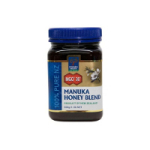 This delicious blended MGO 30+ Manuka Honey Blend by Manuka Health comes in this larger 500g jar as well as a smaller 250g jar. 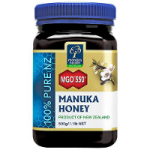 Blended with New Zealand bush honey, this is a crafted honey suitable for every kitchen. 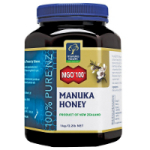 For consumers wanting a manuka honey with a high MGO rating, MGO 400+ Manuka Honey is one of the highest in Manuka Health's range of certified manuka honey. 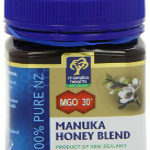 MGO 400+ Manuka Honey has a high level of MGO and Manuka Health tests all its honeys in its own laboratory. 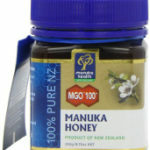 Traceability is also important to the company and they can trace all their honeys back to the beehive.